I love when I find a product that I love and use every day at home, but that you can use in more ways than one. That’s what I love about Glad Press’n Seal that I found at my local Walmart store last week. Not only is it useful to seal food items and keep them fresh, but it’s great for craft time with my girls too! Just check out all the fun we had below! Without the mess! To create your no mess area start by first laying out a sheet strip of your Glad Press’n Seal sheet in front of your child. Have your child choose what color paint and glitter they want to use for their craft. Fold your Glad Press’n Seal sheet in half. Make sure you have the sticky side in so that the edges seal completely. 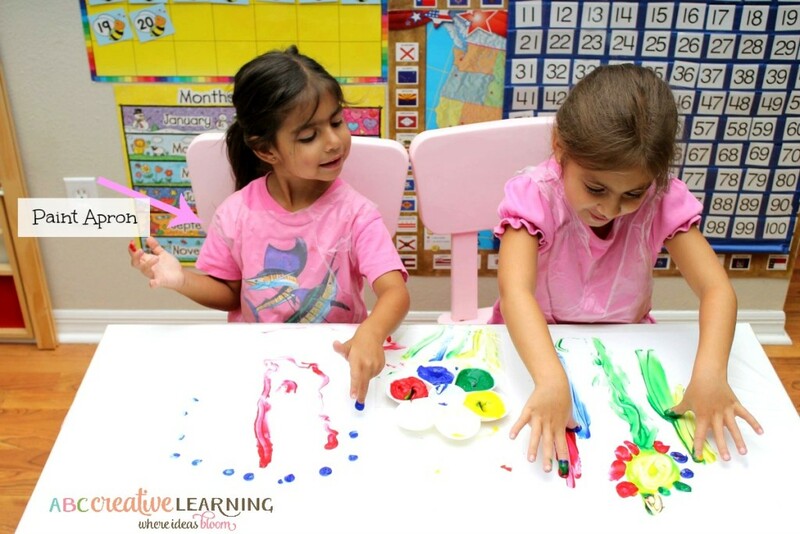 Allow you, child, to create their art with clean hands and no mess area! My youngest daughter wanted me to hang up her artwork, but I didn’t know how I would do that with the paint inside. Well… I am happy to share with you all that the Glad Press’n Seal stuck right on our window and none of the paint leaked out (just make sure that the edges are tightly sealed). 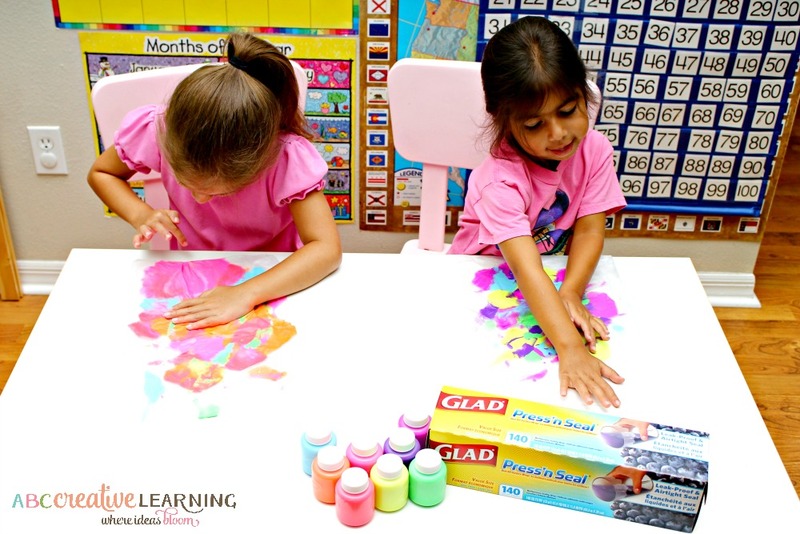 The best thing with the Glad Press’n Seal you can also use it for a mess-free craft area! Now, this doesn’t include clean kids, but it guarantees you happy ones! 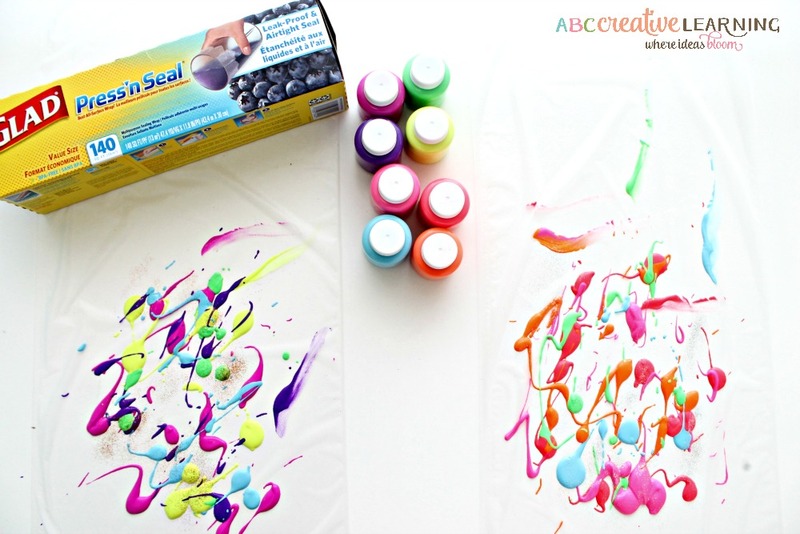 If you are feeling spontaneous about letting the kiddos get a little bit messy for some sensory art play follow these instructions! Cover the table with your Glad Press’n Seal, making sure it’s tight around the table. Cut out a small extra sheet and round the top area. Stick right on your child’s clothes. Yup! No tying and not mess with clothes. When they are finished just take it off and throw away! You are so welcome. 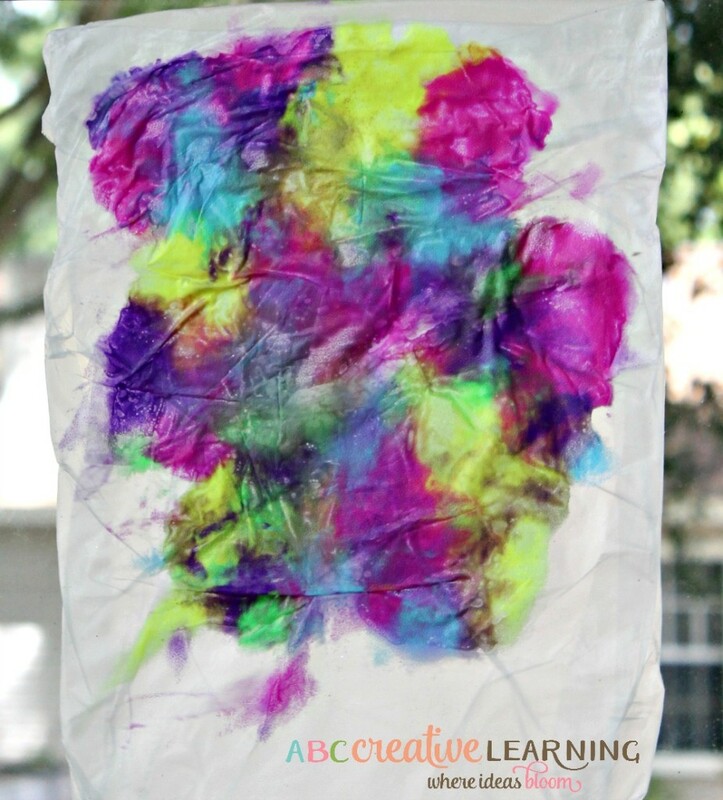 Allow your child to create a finger paint masterpiece! Clean craft area equals happy momma and kiddos! What other hacks do you use during craft time?